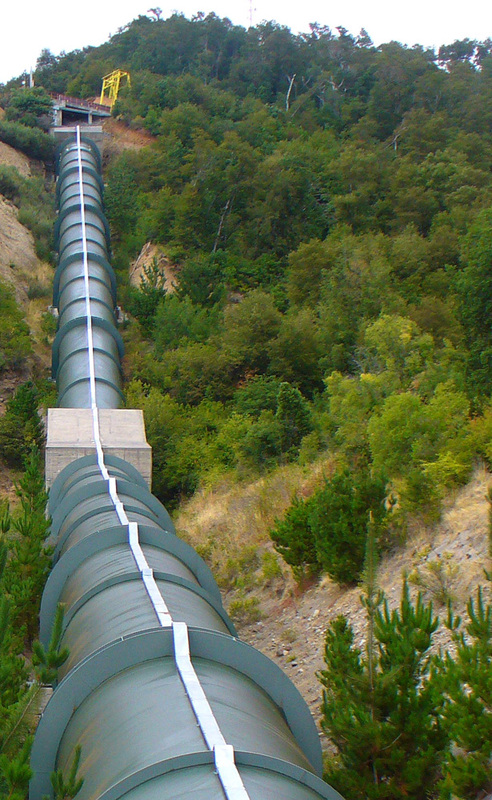 The hydropower potential of Patagonia in Chile has attracted growing interest from multinational corporations. Pictured above is a view from Patagonia’s “Valley of the Explorers,” located at the terminal moraine of the Expolaradores Glacier. High in Chile’s Andes Mountains, glacier-fed rivers tumble down knife-edge slopes in a froth of swift water barreling through tight canyons. Chile already produces more than 40 percent of its electricity from hydropower, but how much further Chile is prepared to advance its alternative energy industry—especially the hydropower sector—is now a question that has come to rest uneasily along the rocky banks of the Pascua and Baker rivers, two of the most remote and cleanest rivers in the world. Both rivers are viewed by the multinational company HidroAysén as the fuel for its $US 5 billion project, which includes the construction of five large dams—some higher than 100 meters—to hold back enough water to power 2,750 megawatts of electricity, the equivalent to three mid-sized nuclear power stations. Additionally, more than 20 percent of the country’s electricity would depend on these dams, located on glacial rivers which some scientists fear are threatened by climate change. Everything about the initiative, which the companies propose to start building in 2010 and opponents are working feverishly to permanently halt, is oversized. Roadless valleys would host the huge dams and deep reservoirs. Electricity produced would be sent north along a transmission corridor 150 meters wide and 2,300 kilometers long to Chile’s biggest cities. It would cut through vast temperate forests distinctive only to Chile’s Patagonia region. Inside the Rio Ibañez Valley in the Aysén region of Patagonia. Local organizations have struggled with water rights, 98 percent of which are owned by electricity companies. The HydroAysén proposal has opened more of Patagonia’s mountains to hydro-exploration than almost anyone anticipated. Three other projects—proposed by a different multinational firm—have gained new traction in the political arena after lying dormant for years. But opponents see the huge dams, new roads, submerged lands and linear clear-cuts for transmission lines as an abomination to one of the world’s last great wild places. The pursuit of alternative energies, at least as they’re proposed for Patagonia, raises far more environmental risks than benefits, say Chilean environmentalists. “Basically what we’d be saying is, ‘Let’s dam all of Patagonia, so that we can have enough electricity to keep digging holes for mines and destroy the north.’ It is just destruction fostering more destruction,” says Claudio Ivan Meier Vargas, a hydrologic engineer and professor in the civil engineering department at Chile’s University of Concepción. Stretched across the bottom tip of South America, from the Pacific to the Atlantic, the Patagonia region is bisected by a bone-bare spine of Andean mountains that serves as a natural border between Argentina and Chile. A woodland balancing on the edge of civilization, Patagonia is richly biodiverse and sparsely populated. An escape for the outdoorsy, eco-adventurer type, the region of Aysén received 145,000 tourists in 2008—a figure that is expected to grow by 20 percent this year. Its pristine rivers are some of the purest in the world, and possess sediment transportation systems that play an integral role in the southern hemisphere’s oceanography. Largely due to the region’s abundant beauty and ecological values, the environmental evaluation process for the HidroAysén projects is now on its third revision since 2006—having been bounced from project engineers to government officials to local advocacy groups, and back again. The final decision now lies in the hands of the Aysén Regional Environmental Authority, COREMA. These government-appointed officials will ultimately answer to the newly elected conservative president—Sebastián Piñera, who takes office in March—instead of the voting citizens living in the Aysén region where the dams are proposed. The new government has the difficult task of balancing domestic job creation and alternative energy systems with international relations and nature preservation. Electricity in Chile is separated into four independent grid systems—El Sistema Interconectado del Norte Grande (SING) in the north, El Sistema Interconectado Central (SIC) in the central regions, Aysén in the mid-south, and Magallanes (GENI) in the southern-most region. Private electricity companies hook up to one of these grid systems to distribute power. 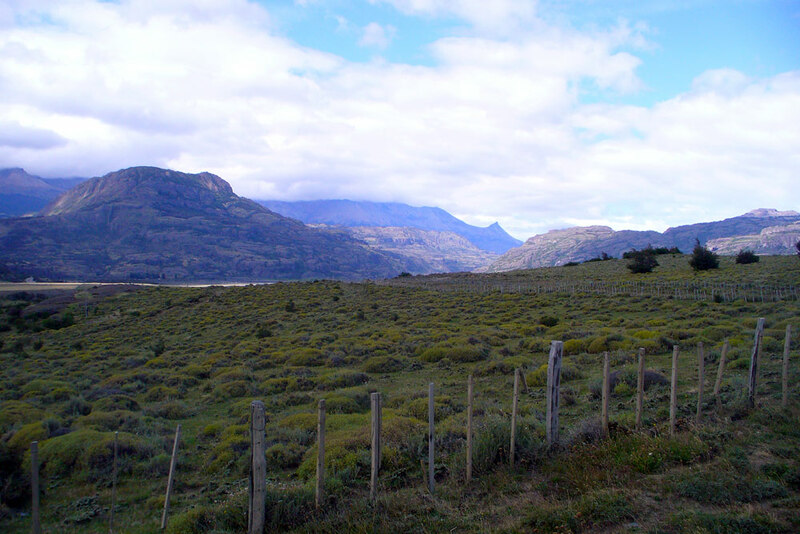 The HidroAysén projects will provide electricity to the SIC grid via the 2,300 kilometers of power lines, built by the Canadian-owned company, TransSelec—of which an Environmental Impact Assessment has yet to be submitted to COREMA. Chile’s energy is mainly distributed as geothermal power, hydropower, or natural gas imported from Argentina. The country’s economic growth over the past two decades has translated into increased energy consumption—especially electricity—to meet the demands of industrial, residential, commercial and public venues. In this 20-year span, Chile has experienced a 5.5 percent yearly increase in overall energy demanded, while electricity-specific consumption has risen 7.5 percent annually, according to the Chilean Commission for Nuclear Energy. As part of the “run-of-the-river” Rucue Hydroelectric Project, this Penstock delivers water from the Rio Laja to hydraulic turbines. 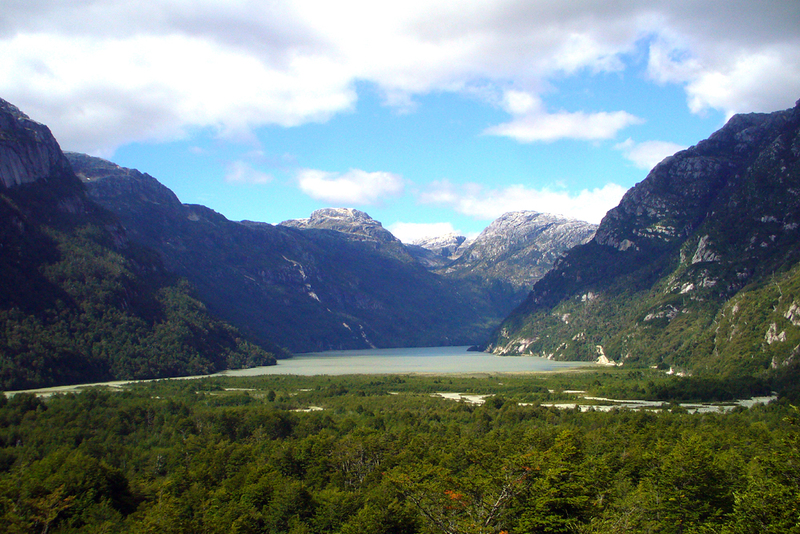 The projects proposed for Patagonia will instead dam and flood vast reservoirs. Political and regional conflicts, ever-increasing energy prices, and unsustainable hydrocarbons have made energy autonomy driven by hydropower increasingly appealing in Chile. HidroAysén argues, the dams will provide affordable electricity for the booming country and prevent rolling blackouts like those Chile experienced a decade ago. Furthermore, HidroAysén’s Web site says that the projects will attain much needed energy independence from foreign fossil fuels—specifically natural gas, a major source of electricity generation, which is imported from Argentina—in addition to providing a low-carbon alternative energy source. Currently, 55 percent of the country’s electricity supply and 72 percent of the overall energy is imported as natural gas, oil and coal. And while neighboring Bolivia is a large producer and exporter of natural gas, the country will not trade directly with Chile because of a 19th century border dispute. To replace growing foreign fossil fuel demand with a domestic low-carbon alternative, the private electric utility Endesa teamed up with the private Chilean electricity generator Colbún SAin 2007 and created HidroAysén. HidroAysén’s asserts on its Web site that Chile’s energy demand will increase annually by 500 Mega Watts (MW) of imported electricity when compared to economic growth projections for the next decade. However, the companies providing this “domestic” energy alternative are not entirely Chilean themselves. Endesa began as a public entity in 1943, but was privatized during the military dictatorship of Augusto Pinochet, was sold to a Spanish company in 1999, and then to the Italian Enel company last year. Meanwhile, Colbún SA is owned by Chile’s Matte Group. The pair created the HidroAysén company specifically for the five projects on the Pascua and the Baker rivers in the Aysén region, which will generate 2,750 MW of power. Hydropower is currently responsible for almost half of Chile’s electric energy production—if these projects pass, more than 20 percent of the country’s electricity would come from the HidroAysén dams. These fast-flowing, glacial-fed rivers have low-flow variability and very high electrical production potential. These consistent southern rivers would compensate for the variability of power generation by the flow of central rivers, which are more susceptible to droughts. The power generation variability could be reduced by 14 percent if the Pascua and Baker projects pass, according to EULA Environmental Science Center at the University of Concepción in Chile. Some Chileans fear this centralization would actually make the electricity system less stable. “If the HidroAysén projects were to fail, they would be making up almost one-third of the Chilean electricity system,” says Fabien Bourlon, who studies tourism as a scientific concept at the Center for the Investigation of Ecosystems in Patagonia in Cochrane. Cochrane also serves as the basecamp for HidroAysén engineers. Aysén locals argue that their economy, which is based largely on aquaculture, fishing, livestock, and eco-tourism, will suffer from the proposed dams and their accompanying power lines. Electricity production that locals say they will not benefit from. All of the electricity created by the HydroAysén dams is to be connected to the SIC grid and sent north to the capital city, Santiago. Santiago contains nearly half of the Chilean population, and its grid system consumes the most electricity in the country—compared to the 100,000 residents of the entire Aysén region. Meanwhile the mining industry north of Santiago consumes about 25 percent of the national electricity. Although there are no copper mines in southern Patagonia, the mining industry is still looking to profit from the region. 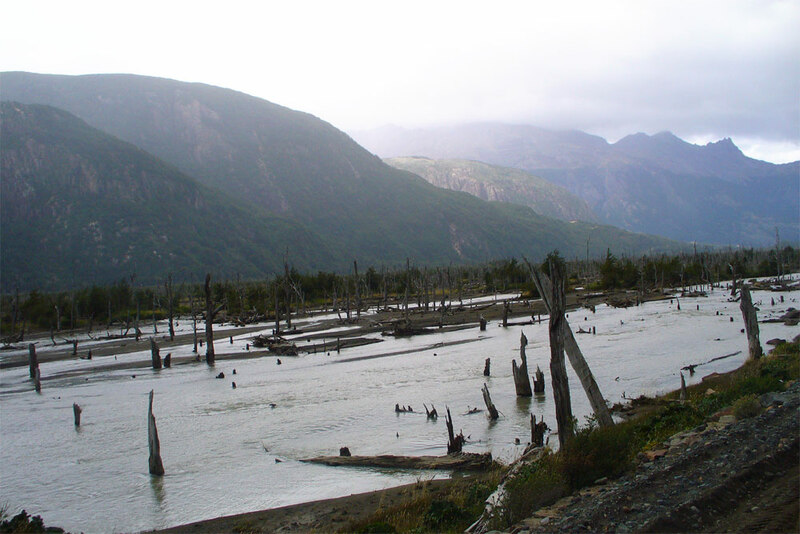 Located on the Rio Ibanez, the Dead Forest or Bosque Muerto’s sediment spawned from the Hudson Volcano, raising water levels and flooding the area. Nearly two decades ago, the first large-scale hydroelectric projects in Aysén were proposed along the Blanco, Condor and Cuervo rivers by XStrata, a Swiss mining company. Xstrata originally wanted to create localized energy to process aluminum imports from Australia. However, at the time the salmon industry was instead booming in Aysén and the projects never came to fruition. Now the TranSelec power lines that would be created for the five HidroAysén dams—along with the crash of the Chilean aquaculture industry within the last year—have provided a loophole for these three projects to be resurrected. The dams were first submitted to COREMA in 2006, but were found to be insufficient. XStrata has re-opened its hydropower bid with the creation of Energía Austral, a combination of the three projects, which would generate 1,000 MW of electricity. The first Energía Austral project for the Cuervo River that was submitted to COREMA last October has received more than 1,000 comments and questions from the public. If approved, construction of the Cuervo dam could begin as early as 2012. A $US 730 million investment, the dam would be the second largest in Chile, generate 690 MW, and create as many as 1,600 jobs—350 to local Aysén residents, according to The Patagonia Times. Project coordinators have until June to revise the draft and respond to inquiries. Like the Energía Austral projects, HidroAysén has until June to respond to the more than 5,000 comments its second revision received last November. Energía Austral is looking to hook up to the Canadian-owned TranSelec’s 2,300 kilometers of transmission lines, estimated at $US 1.6 billion. Because a formal project has not yet been submitted to COREMA, locals can only guess at where the lines will run. In Puerto Rio Tranquilo, a town along the General Carrera Lake, a billboard by the Patagonia Sin Represas organization features an image of Patagonian landscape with photoshopped-in electric tower reading “The worst image for the country: alternatives exist. Patagonia Without Dams!” in Spanish. Vargas says, if done correctly, these lines would run under the ocean floor and then reappear on the Chiloe Island, going through the center of Chile, “where native forests and biodiversity has already been disrupted, and agriculture, cities, and roads is all there is.” This would be very expensive, thus the Aysén community estimates that the lines will go directly through the mainland of Patagonia, cutting through many national parks and reserves. Even the accumulation of many parks into one large Patagonia National Park, “a world-class park similar in size to Yosemite National Park in California,” may not be enough to save the land from being clear-cut to make way for the towers. They are estimated to be 150 meters wide by 2,300 kilometers and will run from Patagonia to central Chile. “Apparently the line of cables will go next to the only highway in the region, through many of the small tourists towns,” says Ian Farmer, a British ex-patriate who has lived in Chile for the last 17 years and spent the last decade working as a tour guide in the Aysén region. Farmer works mostly with Centro de Turismo Cientifico Center for Scientific Toursim, which is comprised of 10 different companies in the region, and puts together programs that differ from typical tourism. The trips tend to be for study—archaeology, limnology, whale counting and even coordinating volunteer work. “There is a lot concern for the way the whole thing is progressing,” says Farmer, whose home is located just 300 meters from where the Transelec power lines are expected to run. This proximity will devalue the property and make his house unsellable, says Farmer. While Aysén is the second most southern region of Chile and is the second largest in terms of area, it is the least populated. The world’s third largest glaciers feed the Patagonian rivers where the dams are projected. Cattle and sheep farming have supported the traditional economy, along with timber harvesting. In recent years, salmon farming and eco-tourism have provided financial assets to local communities. “Chile was the second world producer for salmon and trout, but the aquaculture industry was very clearly unsustainable and everybody knew this,” says Vargas. Last summer, the ISNA virus, believed to have come from Norwegian eggs, devastated the aquaculture industry. The illness spread rapidly amongst the fish because smaller nets had been implemented to keep the salmon in close proximity as the industry boomed. Meanwhile the Aysén community continues to struggle to switch from the destructive patterns of logging and cattle farming, to eco-tourism and fishing. Experts say more large-scale dam proposals for Patagonia’s rivers will continue to appear. Bourlon worries about the Energía Austral projects attracting more mining and industrial development to Patagonia, which could have negative effects on tourism. On the federal level, proposed constitutional reform by outgoing President Michelle Bachelet could have implications in this region. Leftover from the Pinochet regime, water rights in Chile are currently considered private property. A few weeks ago, however, an initiative that recognizes freshwater access as a national security concern and declares the resource a public good cleared its first hurdle in Parliament. Approved by the Chamber of Deputies, the amendment says that freshwater availability is more critical to national security than fossil fuels. During Bachelet’s term, the government has helped protect six river basins in southern Chile from dam projects, according to local media. Just this month the Ministry of Public Works denied 30 electric company requests for water rights on three rivers in the southern basins. However, this does not reflect how water rights already owned by electric companies will be used. But these decisions and the proposed constitutional reform could be turned over by the incoming administration. In March, Piñera will be sworn in as the Chilean president, the country’s first conservative leader in two decades. Shortly after he will name new COREMA officials, who will be relatively inexperienced in regards to the Aysén projects. These board members, however, will ultimately decide if the Environmental Impact Assessments for both the HidroAysén and the Energía Austral projects have answered the public comments and should proceed. And the new president will be on COREMA’s top list of advisors. While Piñera has promised one million new jobs and six percent economic growth this year, the incoming president has not said a lot about the projects in Patagonia. Aubrey Ann Parker is a reporter for Circle of Blue. This article is based on two weeks of extensive research in hydropower that Parker conducted through the Graham Scholars Program at the University of Michigan in the spring of 2009. Read the Graham Scholars’ complete critique of the HidroAysén Environmental Impact Assessment here. Parker can be reached at circleofblue.org/contact. Article on the Tompkins couple (Doug was the founder of The North Face and Kristine was the CEO of Patagonia Clothing Company) who is working to form the Patagonia National Park and keep out the dams. The answer to the clear cuts is ‘super-conducting’ underground power lines. Then they should also favor the pen-stock method of extracting the hydro-power, while leaving segments of natural river systems to allow for aquaculture health. 120 meters of clear cut is unnecessary with underground power lines. Plus an underground energy feed line is less vulnerable to forest fires, wind storm damage and related natural extremes. Even earthquake damage can be mitigated with proper design. Lower maintenance costs and less natural disruption during and after construction. Horizontal boring machines can do a kilometer plus of 1 meter diameter conduit at a time. We had better find water on other planets, and quick…since we are surely destroying ours!!! to try and deal with a world with only contaminated water to drink.